Summers normally kills us. They’re just too hot, and we’re either spending the entire time trying to keep pigs cool or we’re busily harvesting hundreds of kilograms of tomatoes and zeppelin-sized zucchinis and trying to work out what to do with them. This summer hasn’t been that bad weather-wise though. It all seemed to start early, with high-30’s days way back in October, but then it all kind of just went away until February. Right now this weekend and the 2 or 3 before it have been around the 40’s, the result being that I actually have time to catch up on the blog. Between you and me, I’d rather be out doing it rather than writing about it though. 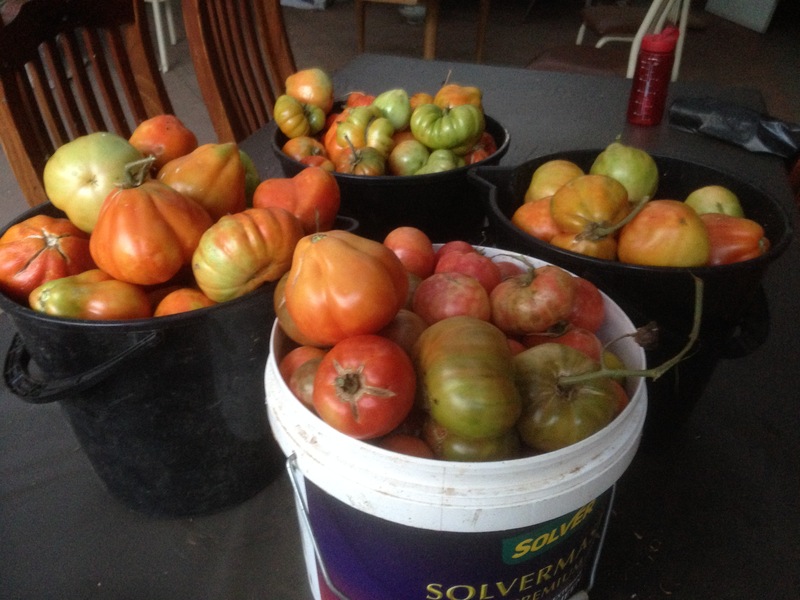 About 40kg of tomatoes and that’s just one weekend. It was around 30kg the weekend before. 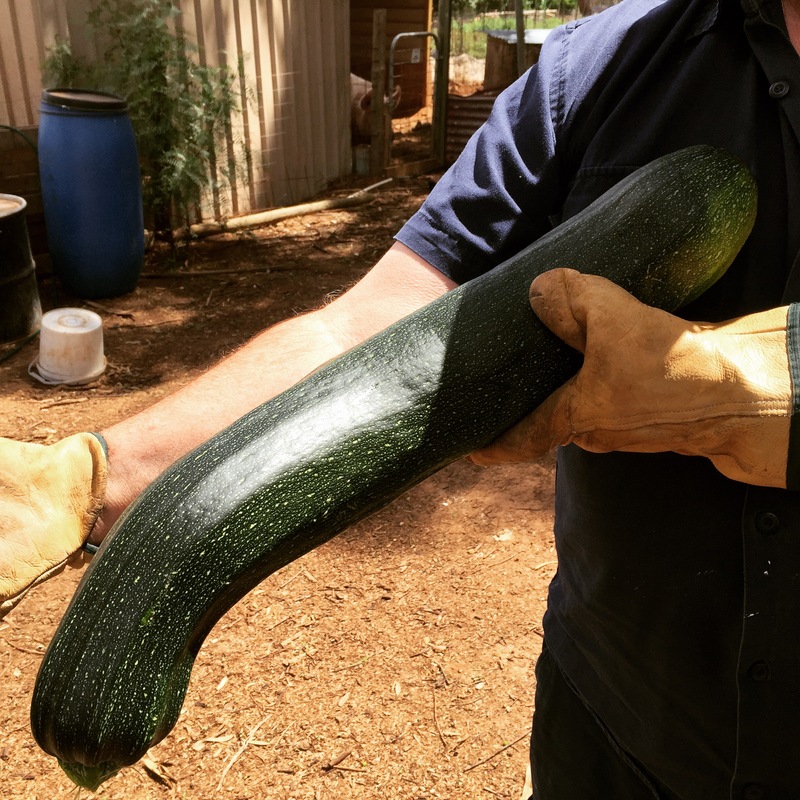 Believe it or not, that’s not our biggest.